The Syracuse nursing home abuse & neglect attorneys of Nursing Home Law Center LLC are not solely committed to the pursuit of justice against negligent and neglectful nursing homes. We would also like to help prevent future abuse from occurring by providing as much information as possible to anyone concerned with the growing epidemic of nursing abuse cases and must consider where to place their own loved ones who require ongoing care. You will find a list of nursing facilities to avoid below along with the concerns that are most common for the area so that you can be better prepared when searching for a qualified home and when you suspect that your loved one may be being mistreated. Medicare releases publicly available information every month on all nursing facilities in Syracuse, New York based on the data collected through inspections, investigations and surveys. Currently, the national database reveals that surveyors found serious violations and deficiencies at nine (60%) of the fifteen Syracuse nursing facilities that provide their residents substandard care. Was your loved one was injured, mistreated, abused, or died unexpectedly from neglect while living in a nursing home in New York? If so, we encourage you to contact the Syracuse nursing home abuse & neglect lawyers at Nursing Home Law Center (800-926-7565) today to schedule a free case review to discuss a financial compensation claim to recover your damages. As the fourth most populous city in the state of New York, Syracuse is home to about 145,000 and the center of a metropolitan area which includes over 700,000. It is most known for its university, which helps make it one of the most influential educational and economic hubs in the state. In addition to being a renowned educational facility, Syracuse University has an expansive research department. Its strong economy and access to quality education for all age ranges also makes it the fourth best place to raise a family, according to Forbes. When considering its demographics, many people forget that over 10% of its population is comprised of senior citizens and this percentage is likely to increase as more residents approach the age of retirement. Seniors that are looking to maintain active and healthy lifestyles or to connect with others in their age group can do so by taking advantage of the numerous programs offered by Syracuse’s senior centers. Services include day trips, exercise classes, health screenings, parties, lunch programs and Bingo. For more information, you can visit http://www.syrgov.net/parks/seniorRecreation.html for center addresses and event calendars. There are numerous nursing facilities serving the Syracuse area and each facility offers a different standard of care. This is why Medicare offers the public a chance to see how each facility is rated through its nursing home compare tool. Our Syracuse nursing injury lawyers have compiled the information below on the lowest rated facilities in order to save you some time, but if you are interested in more specific information or would like to see the rating of a facility not listed, you can access the same data at https://www.medicare.gov/nursinghomecompare. 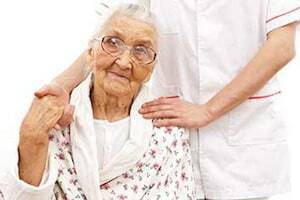 Primary concerns: Understaffing is one of the roots of many nursing home concerns. A lack of qualified and well trained staff members makes it difficult to pay attention to the needs of every individual and staff members are required to decide which patients receive immediate priority. This facility is a textbook example of what happens when the staff is kept at barebones levels. It has the lowest possible score in quality measures and health inspection that Medicare can provide. Primary concerns: Despite having a nearly perfect quality measures score, this nursing center only received an overall score of two stars. This is due to serious understaffing and health inspection deficiencies. While having the right protocols in place to provide quality care in theory, understaffing has hindered the existing staff’s ability to provide a high level of care to everyone. Primary concerns: There is not a single area of assessment in which this facility earned a score higher than a single star. It has a horrid health inspection history, serious understaffing concerns and lacks any sufficient quality measures to guarantee proper care. Primary concerns: This facility has an average rated staff and quality measures, but is plagued by numerous health inspection deficiencies that place residents at increased risk of suffering injuries due to the spread of infection or environmental hazards. Primary concerns: One star ratings in all areas of assessment make this a nursing center to avoid. Once again, it is reasonable to suspect that the root of most of this facility’s problems is in its poorly equipped staff. For profit nursing companies must begin to place a priority on the wellbeing of their patients or suffer consequences for failing to do so. While our Syracuse nursing injury lawyers are happy to speak with you regarding any concerns you may have over the way your loved ones are being treated, there are some signs that warrant a much more serious discussion and a thorough investigation. If you notice any of the following, you should demand answers and be prepared to take legal action. Your loved one’s demeanor changes suddenly and he or she experiences bouts of anger, depression or mania. You notice your loved one has lost weight without a valid explanation. You notice your loved one behave strangely in the presence of a caregiver. You notice physical evidence of assault. Your loved one develops bedsores. Your loved one develops an infection. Your loved one is hospitalized due to medication errors or is injured due to lack of supervision. The award winning Syracuse nursing home abuse attorneys of Nursing Home Law Center LLC would be happy to help you get to the bottom of any concern you have about your loved one’s care and to aggressively pursue justice on his or her behalf if we uncover evidence of abuse or neglect. Contact us today to arrange a free consultation so that we can review your rights and options with you and let you know how best to move forward. We assure all of our clients that our services are on a contingency basis, so you will never be required to pay us a thing until we recover damages on your behalf.